Nia is barefoot workout for body, mind and soul. A cardio-dance fitness class that blends energizing, soul-stirring music with choreography that is easy to follow and designed to address the whole body. Moves are infused with the power and precision of the martial arts; expression and fun of the dance arts; and with mindfulness of healing arts. Nia is fitness that is easily adapted for each person. More than a workout, Nia’s holistic approach to health is designed to address the body, mind, emotions and spirit. 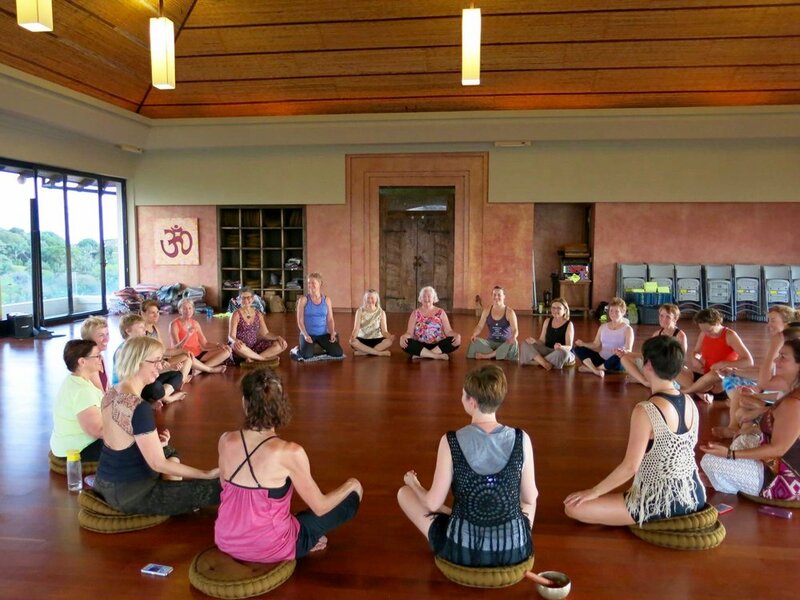 A Nia class has 7 unique ‘cycles.’ Cycle 1 begins with the teacher setting a ‘focus and intent’ which directs the mind – as energy follows attention. The focus of class may be an awareness of the feet – with the intent to balance the body from the ground up. The class is then guided to step in (cycle 2), leaving all distractions at the door. Warming up (cycle 3) mindful, then a get moving cardio section (cycle 4), before cooling down (cycle 5), movement on the floor (cycle 6) and consciously stepping out (cycle 7), leaving students with a sense of wholeness. Within the class experience, Nia blends form and freedom. The form of 52 basic moves addresses the whole body. These include steps, stances and kicks for conditioning of the legs; core moves; and upper body moves such as blocks, strikes, punches and a variety of hand techniques. The choreography builds from simple to complex, promoting neuroplasticity, focus and balance. Beyond the workout, Nia is a lifestyle practice. Its trainings transform the way people live with education that inspires personal development as well as teacher training. Its belt-style system is based on the martial arts. It’s foundation is the Nia White Belt training, based on deepening the understanding of Nia as a movement practice and on understanding the design of the body known as The Body’s Way. Nia is a design system for sustainability of the body. The White Belt is open to all bodies – from the novice to seasoned practitioner. The White Belt focuses on the ‘Art of Sensation’ to feel more vitality, connection and joy through the study of Nia’s 13 foundational principles.